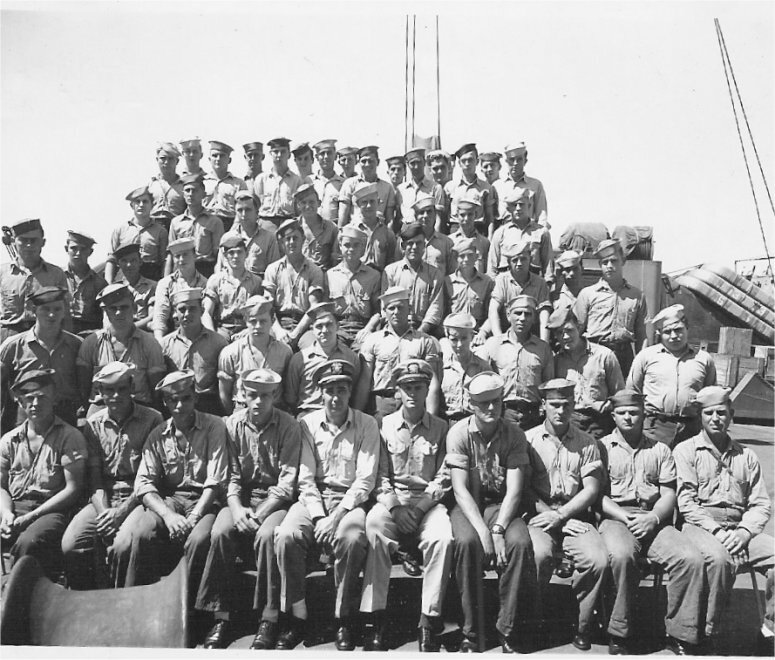 Laid down, 21 September 1943, as SS Francis P. Duffey a Maritime Commission type (EC2-S-C1) hull, under Maritime Commission contract (MC hull 1805) at Bethlehem Fairfield Shipyard, Inc., Baltimore, MD. 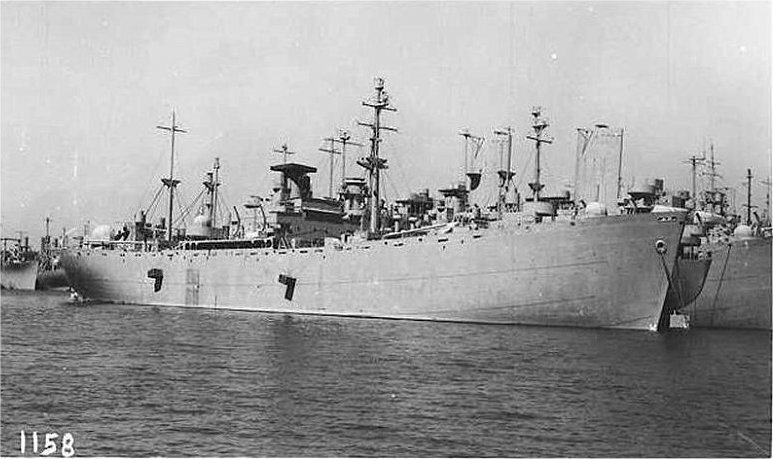 Acquired by the Navy from the Maritime Commission and converted to an Internal Combustion Engine Repair Ship at Maryland Drydock Co, Baltimore, MD. 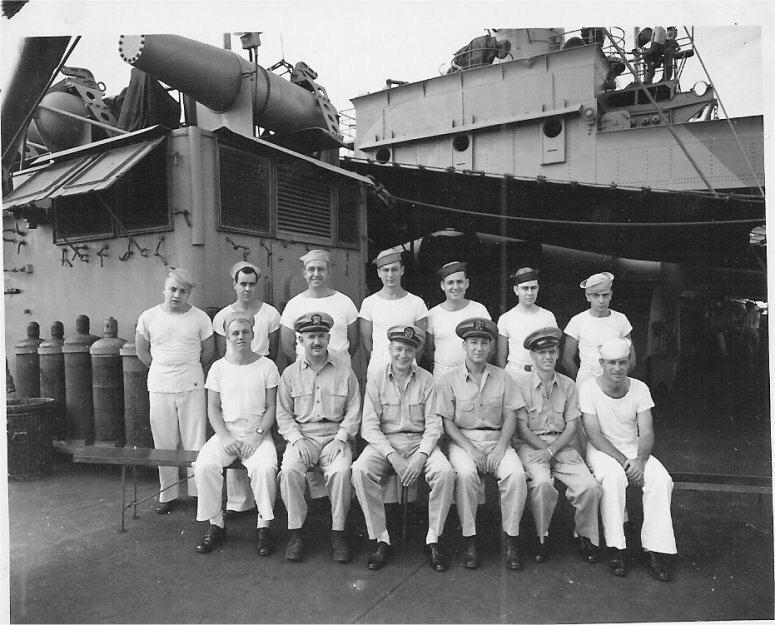 Decommissioned, 30 September 1947, at Stockton, CA. 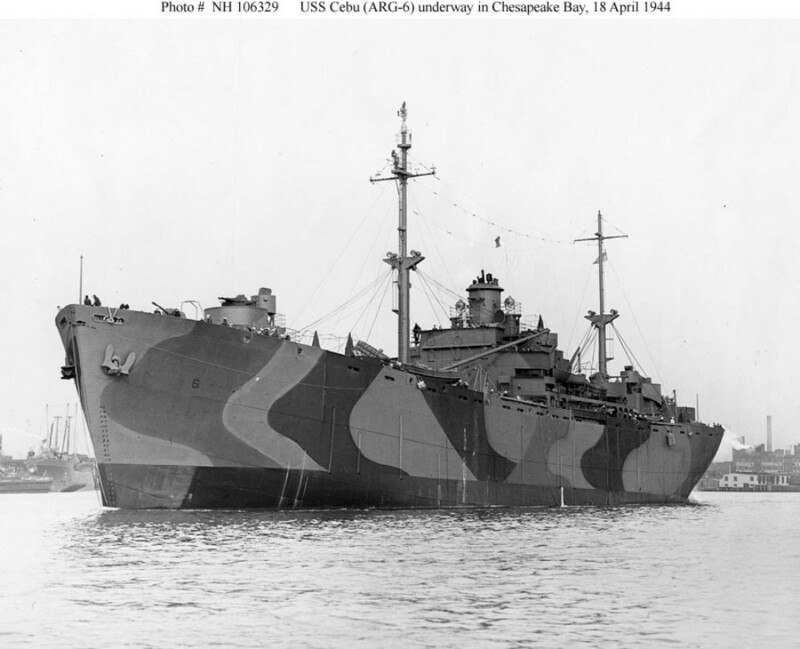 19-N-65151 131k USS Cebu (ARG-6) in Chesapeake Bay off the Bethlehem Steel Key Highway Yard, Baltimore, Md., 18 April 1944 one day after completing her conversion to an Internal Combustion Engine Repair Ship. 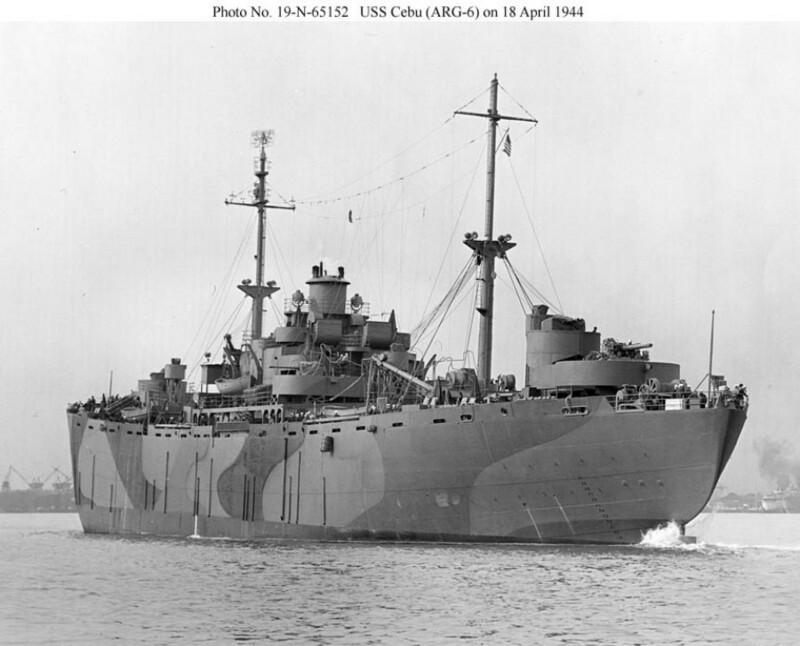 The ship is painted in Camouflage Measure 31, Design 6Ax. 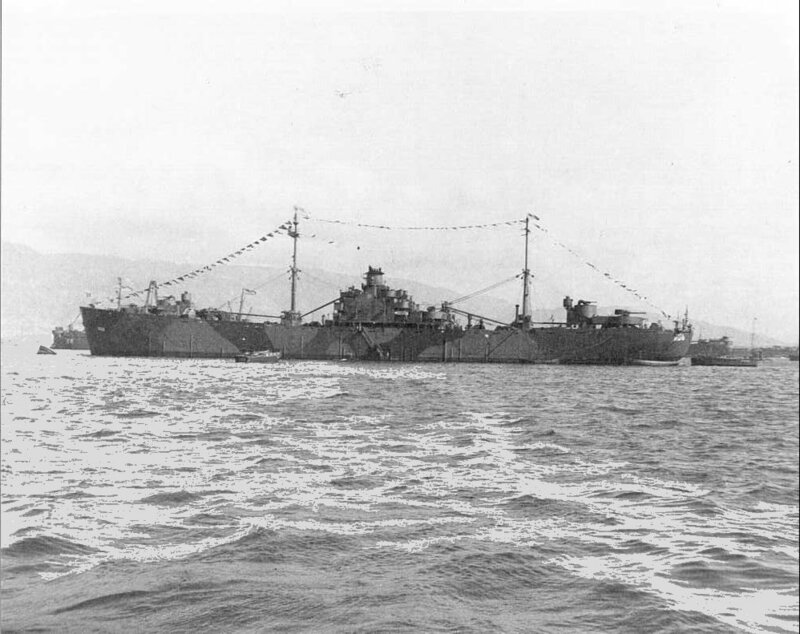 154k USS Cebu (ARG-6) at anchor off Oahu, TH, 31 March 1946, prior to leaving for "Operation Crossroads" at Bikini Atoll. 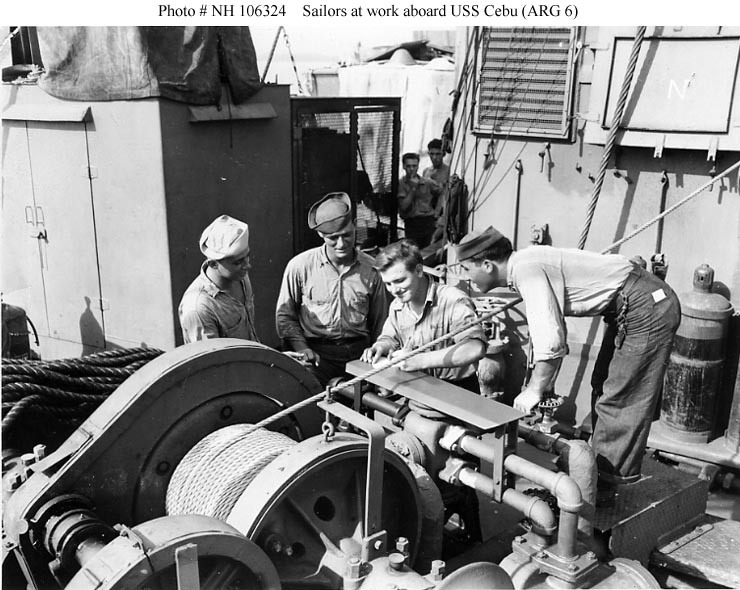 Notice that Cebu has dressed ship for this occasion. 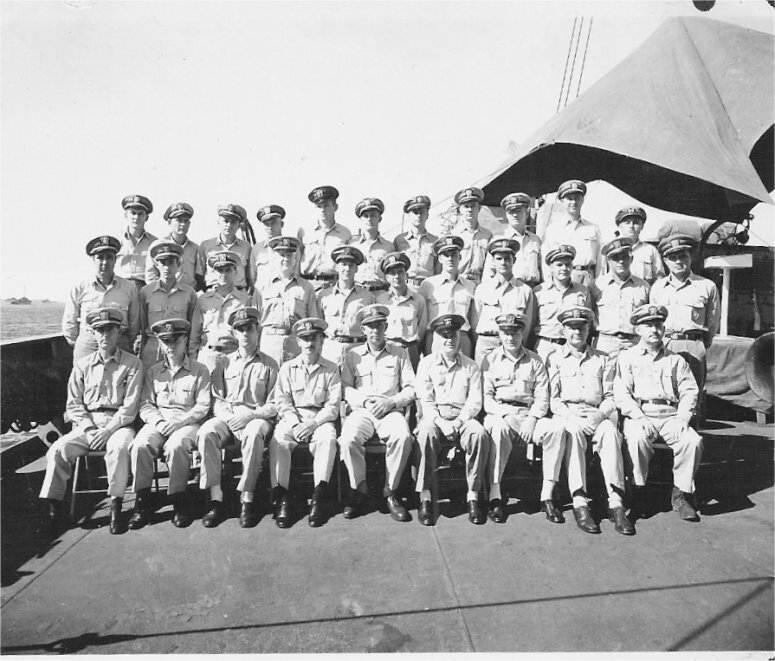 100k USS Cebu (ARG-6) unknown division photo, circa 1944-1945. 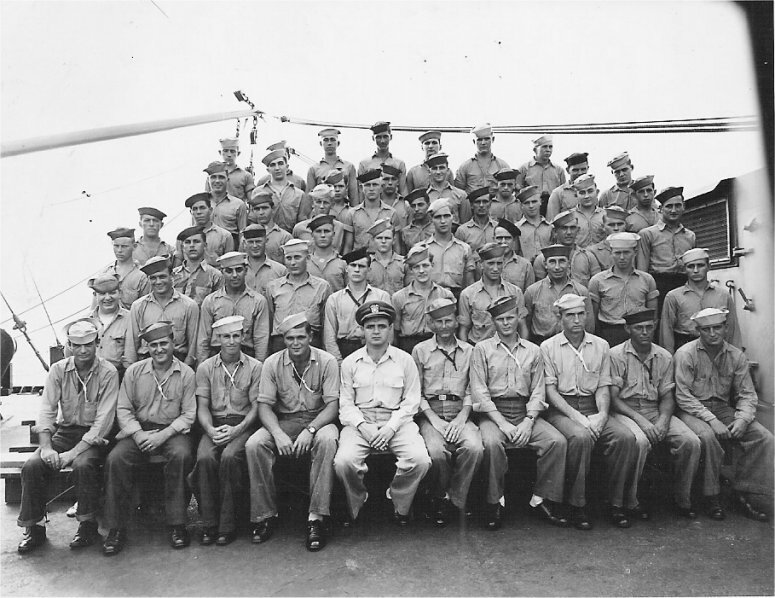 The division consists of one officer, two chief petty officers and seventeen men. 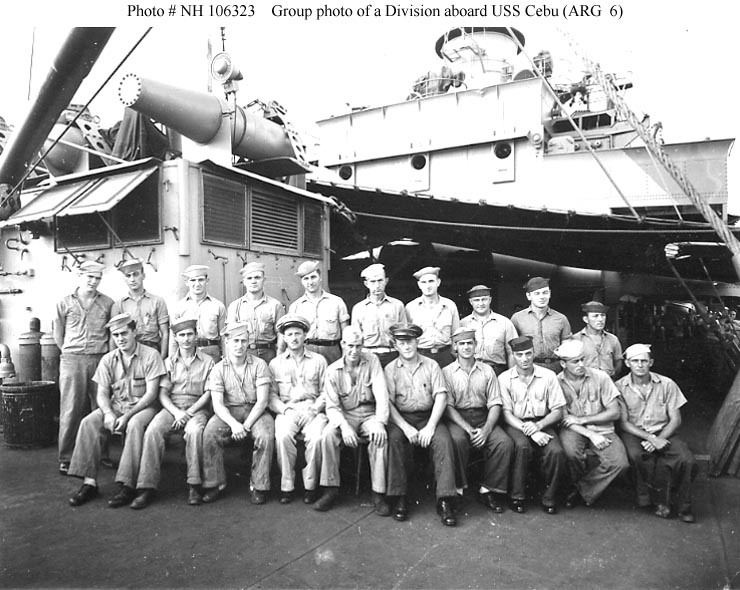 Note paravane stowage and Cebu's bridge in the background. 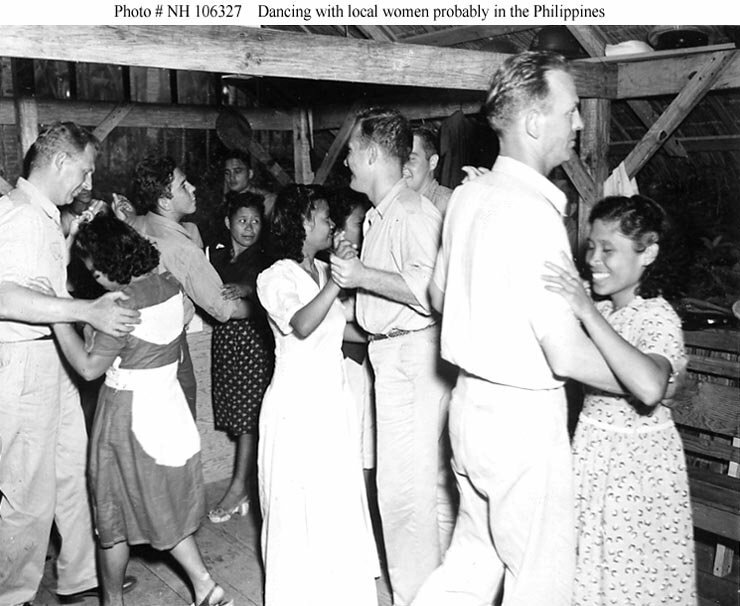 87k USS Cebu (ARG-6) Officers dancing with local women ashore, circa 1944-1945. The location is probably in the Philippines. 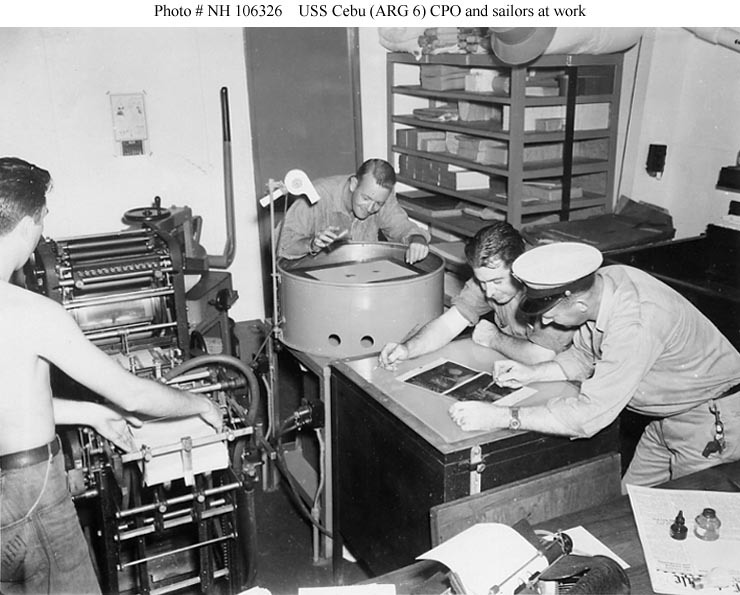 86k USS Cebu (ARG-6) Print Shop crew at work, circa 1944-1945. 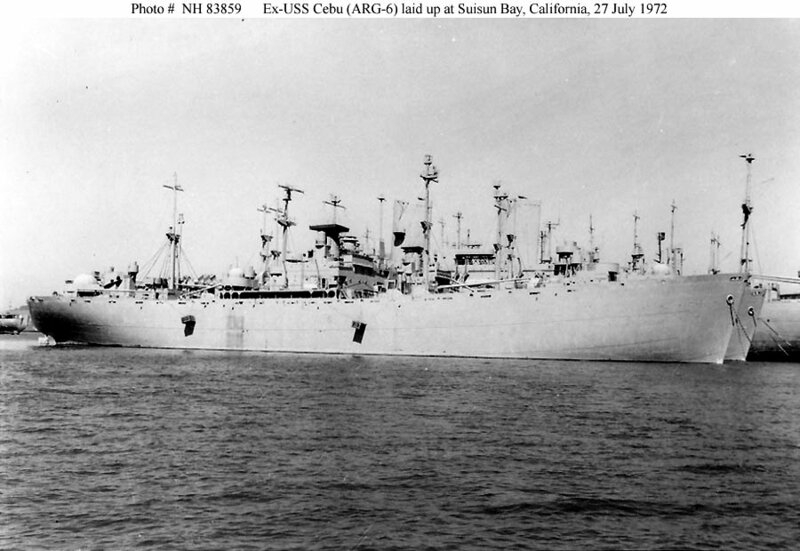 105k SS Francis P. Duffey [ex-USS Cebu (ARG-6)] laid up in reserve at Suisun Bay, CA., 27 July 1972.